Decorative bamboo hanging light for any type of room. 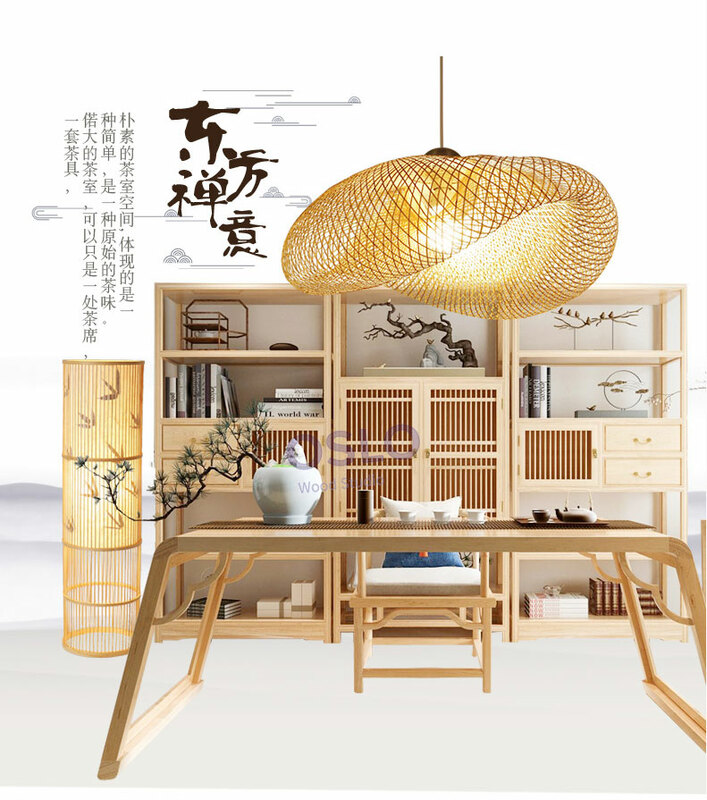 It represents east asia designs for interior decor. Any extra import duties, taxes and charges are not included in the item price or shipping charges. These charges are the buyer’s responsibility. The shipping charge for returning the item would be the buyer’s responsibility too if the buyer refuses to accept the packages. Delivery time depends on postal process and other factors, please be patient to wait for it. If you are dissatisfied with the item, please contact us (contact@hi-living.net) with the order no. We are committed to resolve the issues in a friendly and satisfactory manner. We reply to messages within 2 business days. If you do not get a response from us, then please check your junk or spam mailbox. Original and return shipping fee will not be refunded or reimbursed under all circumstances. You must agree and acknowledge this term if you buy this item. We care about our valued buyers, if you have any questions, our customer service will be very glad to help you. We try our best to reply to your emails as soon as possible, however, due to high volume of daily incoming emails, we may not be able to reply your emails immediately. Please allow 24 business hours for us to response. For any project enquiry, please write your requirement to contact@hi-living.net and our designers will support you with the procurement and installation services. Minimum expected project order size to be 1 Lakh and above. We also provide additional 5% discounts for such orders. We also offer interior design services to design and advise on our client’s requirements for best interior results.